We specialize in duplicating one of the best all black German Shepherds of all time, the world famous stud dog V Paska vom Salztalblick. In order to try to duplicate any dog, or horse or cow for that matter, one needs to strategically line breed using a 2 – 3 line breeding technique. This is the ideal (breeding using Mendel’s theroy of genetics) combination that we use for reproducing this incredible all black world recognized stud dog. Paska was on the cover of German Shepherd magazine a number of times and arguably, was the best all black german shepherd of all time. In fact, Paska vom Salztalblick is still considered to the most recognized and most coveted all black German Sheprhed (among experts in the German Shepherd working dog lines) who is internationally recognized as now being the gold standard that everyone is trying to achieve. Paska was a poven producer of temperament, drive and strong working ability. The parents in our 2 – 3 line breeding litters are “V” rated in conformation, KKl1, SchH/IPO III, with FH I titles. This insures the puppies will have the absolute “best of the best” blood lines, not only in the ancestory but in their own immediate parents as well. We try to use both parents who have shown very high working scores and both are proven producers of great health, hips and elbows with multi-generational excellence behind them. We have breeding pairs using this particular breeding technique that have been very successful at reproducing virtual “Paska’s” and one of these breeding pairs is getting ready to have their 3rd litter (3rd time this specific breeding is taking place). What is the purpose of breeding different females to different Studs? To get the best puppies possible obvously. But when the “best” is already being produced consistently, and it’s being produced in the entire litter instead of in just one or two puppies, then why in the world would anyone want to change it? 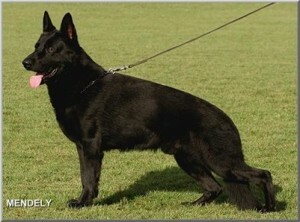 And that’s the point…this is the most incredible breeding of all black german shepherds anywhere in the world, period! To get the variance, we use different grand daughters with different sons from different lineages (meaning Paska is the grand father of our females, and is the father of the males, but the mothers are different top dogs throughout the world). Or we can do a “reverse 2-3” which would be a Paska daughter (for example, our own Pia) with a Paska grandson (for example, one of our own pups from Unkas/Beniti or Enno/Nara). One reason for black dogs to rarely be excellent in conformation is due to the fact that black dogs, by definition are carrying recessive genes…thus the chance to have more flaws. It’s important to remember that black is a recessive gene, one coming from each parent. To be a black dog, the dog has to have the recessive black gene from each parent, ie, both genes from both parents have to be the black gene. This actually explains why most black dogs do not meet the necessary standard to be the top in breed survery. It can also be postulated that because black is a recessive gene, it tends to carry more of the inferior characteristics that are not wanted in German Shepherds. But there is a huge advantage as well IF you can get the best black dogs with the perfect characteristics. The reason is that if you can get the perfect all black German Shepherd, you’ve got an incredible advantage. Just ask anyone whose had a great all black German Shepherd and they’ll tell you why. There is just something different about them. To get a V rated, KK1 German Shepherd is difficult enough. Just look at how many breeders throughout the country are using ONLY V rated, KK1 German Shepherds exclusively in their breeding programs. To get a V rated, KK1 all black German Shepherd dog is relatively rare due to the above mentioned reasons in the paragraph above. To have both Sire AND Dam that are both solid black with a KK1 and with a V rating is extremely rare. And to get a 2-3 line breeding on a great dog with both sire and dam being SchH 3 / IPO 3 with KK1 and V ratings is, well, almost an impossibility. It’s almost like winning a lottery…or hitting a “hole in one” on the golf course. However, in our case, it even gets better… because we don’t just have these top dogs…we are EXCLUSIVELY breeding only these top dog combinations using this superior genetic method! And as a result, we are consistently getting carbon copies of Paska using these top dogs. In other words, using and breeding only top all Black Shepherds that are SchH 3 / IPO 3 with KK1 and V ratings is unique enough. But to do that using only a 2-3 breeding on a top dog like Paska insures you are not PRODUCING only these types of dogs. And nobody is exclusively doing this in North America! To get a 2-3 line breeding on V Paska vom Salztalblick with both sire and dam being SchH 3 / IPO 3 with KK1 and V ratings and with Hips and Elbows rated A1 normal is virtually never seen in the USA. The only dogs like this we’ve seen have been in Germany. That’s the reason that we say we have the best all black German Shepherds in north America. Be careful when people tell you that it’s fine to have a SchH1 / IPO 1 female for breeding and it’s unnecessary to have a SchH 2 / IPO 2 or SchH 3 / IPO 3 female for breeding. The core of the work in getting titled is done for SchH 1 / IPO 1. The time to get a SchH 2 / IPO 2 or a SchH 3 / IPO 3 is only a few weeks to a few months at worst. But…most dogs don’t HAVE that in them to go from SchH 1 / IPO 1 to the next level, leave alone all the way to SchH3 / IPO 3. So, the questions is, why would you buy a puppy that has a Dam that’s only a SchH 1 / IPO 1 when you could have a puppy with a Dam that is a SchH 3 / IPO 3? There is nothing wrong with having a SchH1 / IPO 1 dam but if you can get the mother who is proven all the way, why wouldn’t you want that? You may find a similar but brief add other than ours for an “2-3 line breeding on Paska”. Yes, that was my friend, Vincent. He did the first 2 breedings on 2 incredible dogs and I was so impressed with the puppies, I bought both the Sire and Dam. As Vincent said in his add, “If you find a better breeding, buy it … but you won’t [find a better breeding]! Spend less or spend more …we challenge you to beat our breedings!” Vincent is absolutely correct! There is nothing better than when you put science together with genetics to yield an incredibly superior dog. 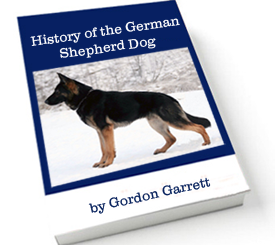 As a physician (human, not vet), I’ve taken my knowledge base of genetics and combined it with what the best German breeders have successfully been doing and we are now producing the best all black German Shephers in all of North America. Please note that we are exclusively breeding all black dogs. Prices for our puppies will range from $2500 to $3500 if both parents are SchH 3 / IPO 3, V rated, KK1 dogs. If you’re looking for other than solid black German Shepherds, please contact Vincent. We may occasionally have bi-colored shepherd (see pictures of Enno as an example of what a bi-colored looks like) but it is rare, depending on the breeding. Vincent is the ONLY other breeder that does what we do here in the USA that I am aware and if you’re going to buy a German Shepherd that is NOT all black, then contact Vincent. We do expect a few bi-colored German Shepherds in our upcoming litter with Enno and Nara (see upcoming litters).